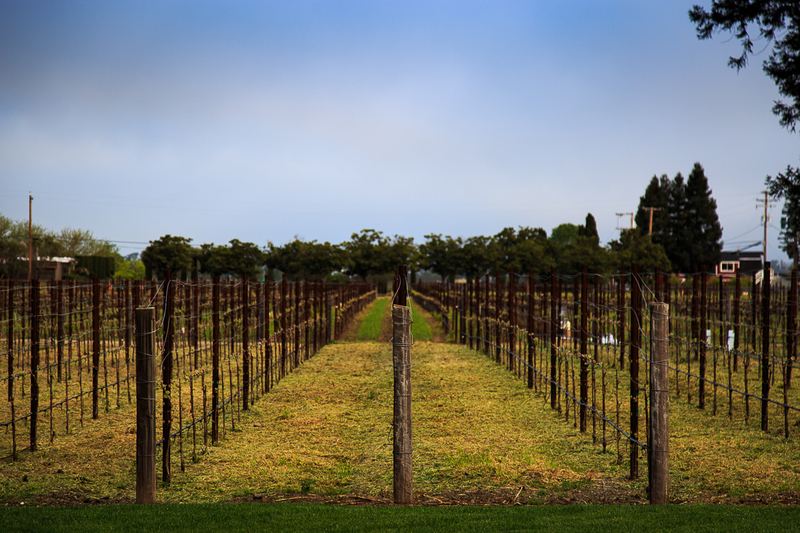 There's nothing like visiting one of the most famous wine regions in the world. 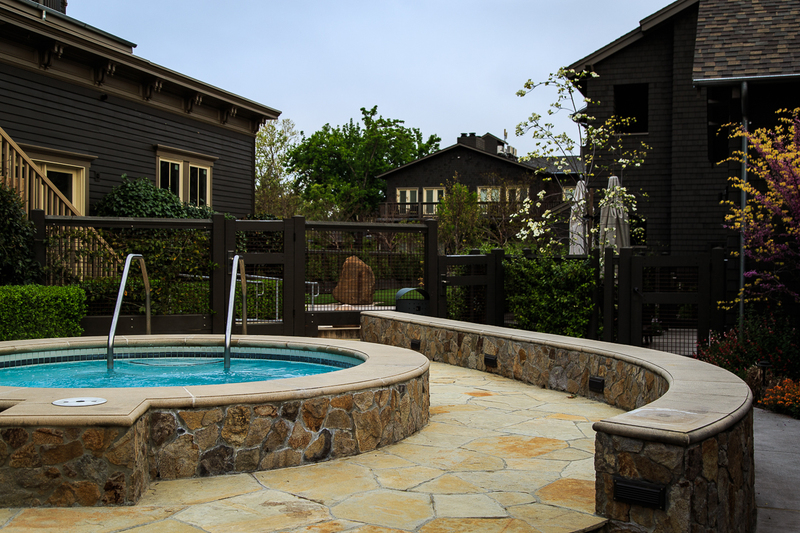 Napa Valley is a place that transports you to a weekend of fine food, excellent wines, and endless relaxation. 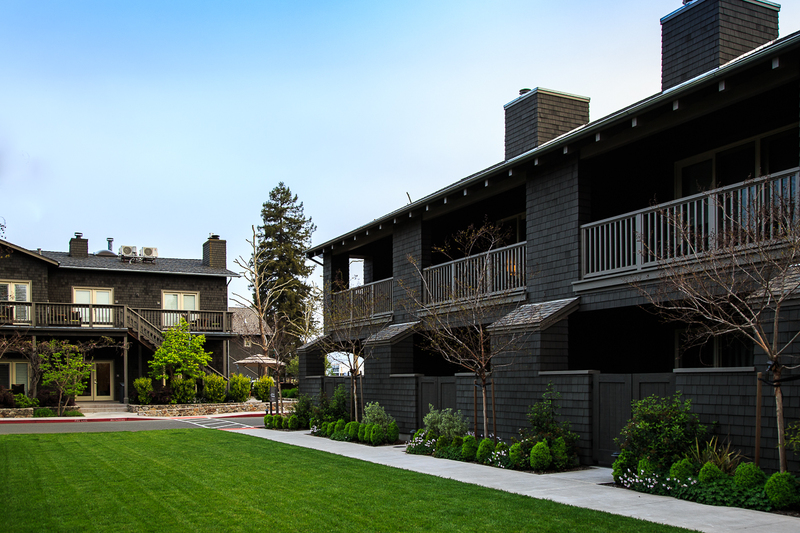 When you're planning a trip to Napa, two things come to mind: where will you be staying and what wineries will you be visiting? 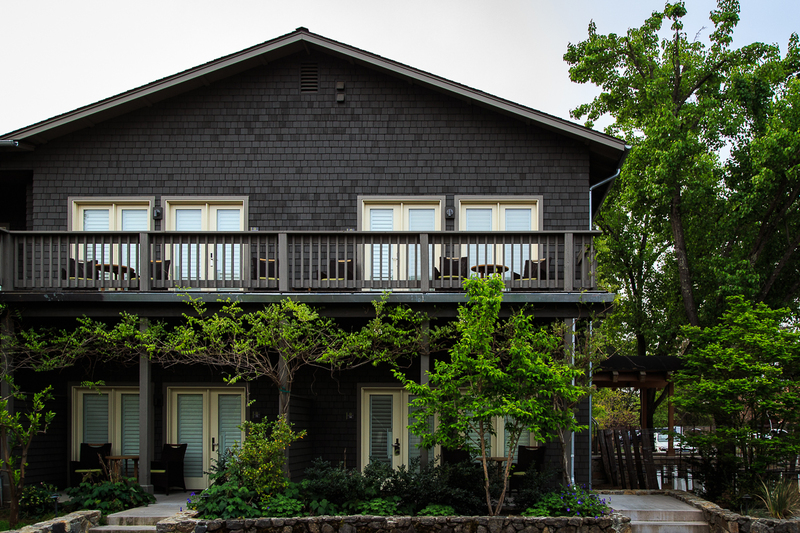 Lucky for you, we have the perfect place for you to stay and the most incredible wine tasting experience for your next Napa trip. 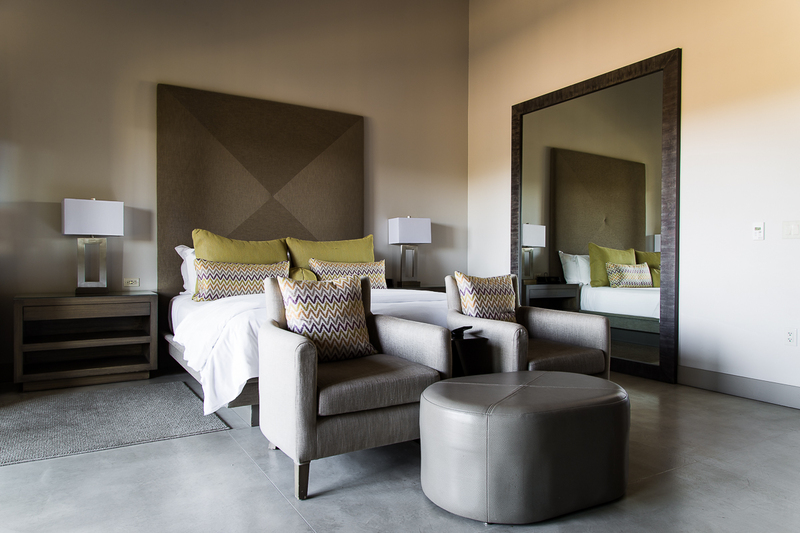 Clean, updated and luxurious with an approachable vibe - those are the ideal attributes for a great place to stay and the right description for Senza Hotel. 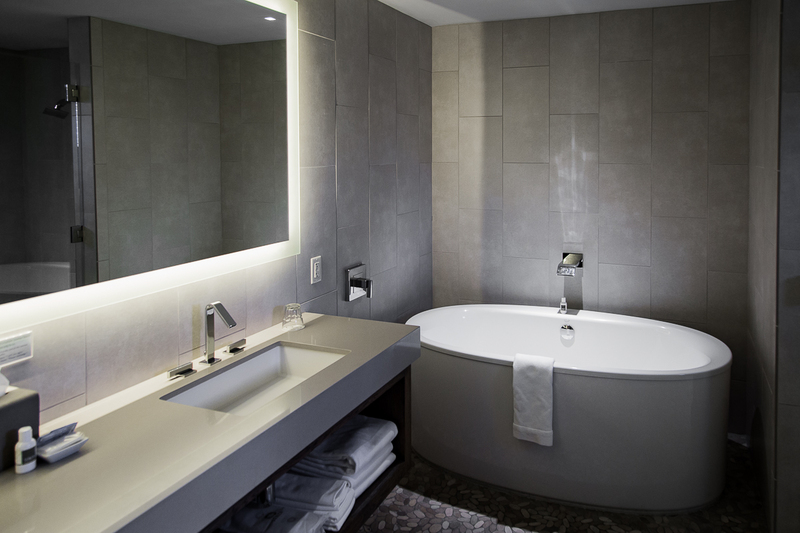 Senza Hotel is the perfect mix of modern luxury with historic charm. The two acre property has five main buildings including the Parker Mansion built in 1870. 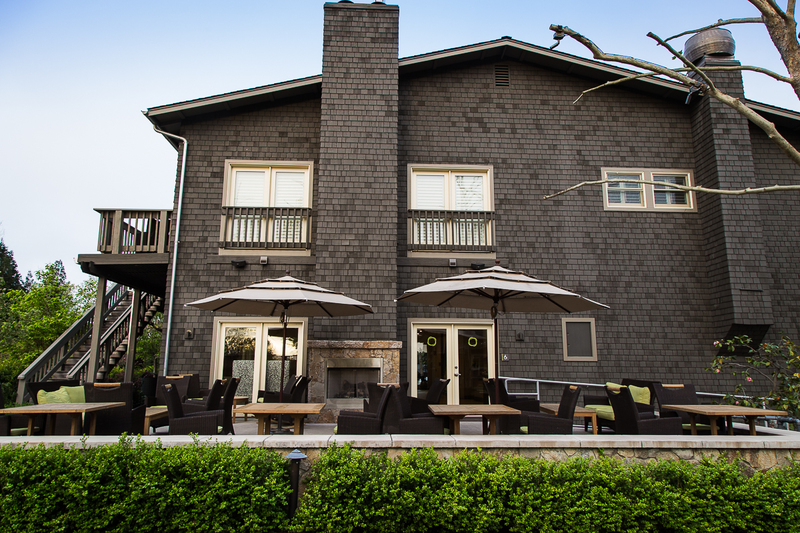 Surrounding the buildings is a beautiful vineyard, setting the perfect view for enjoying your coffee in the morning or unwinding with a glass of wine in the afternoon. 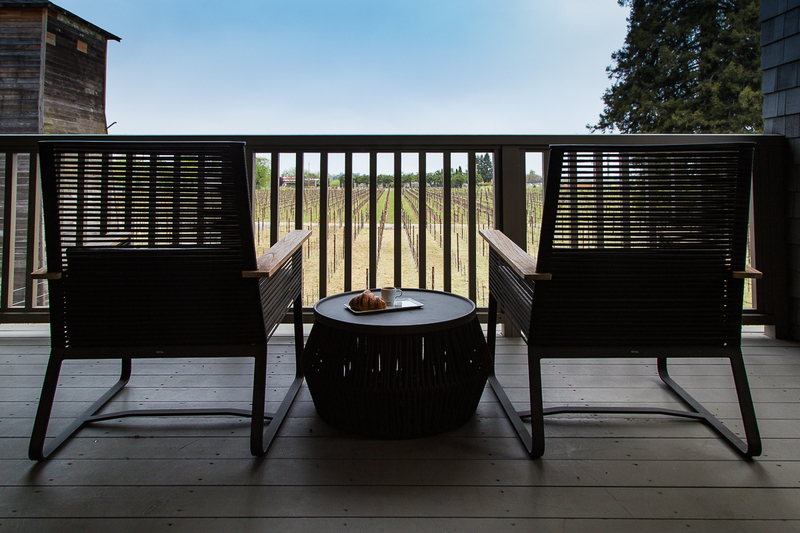 Book a vineyard suite for the ultimate view. 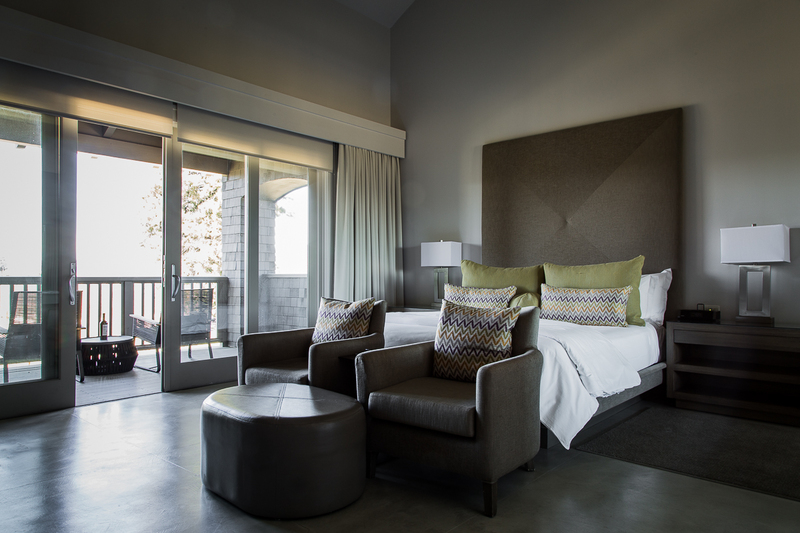 These beautiful and spacious suites are only steps away from the grapes, with a picturesque backdrop of Napa Valley’s rolling hills. 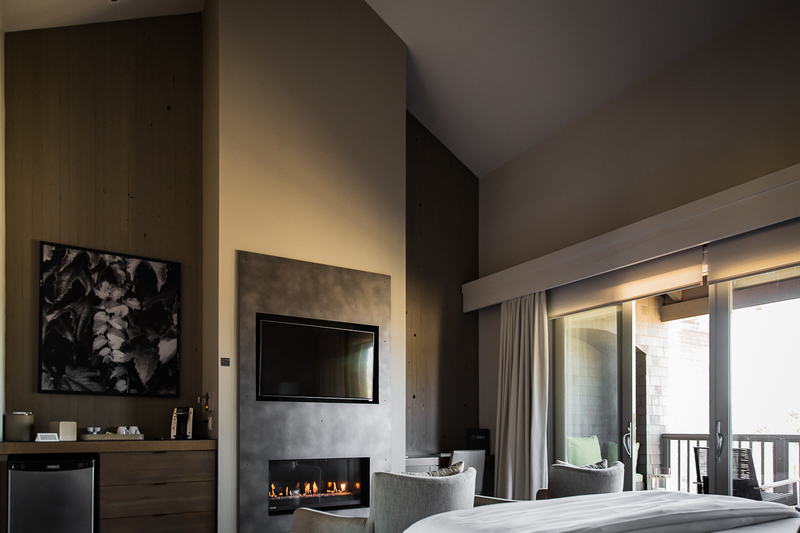 Inside the bright and spacious suite, you can relax by the gas-lit fireplace. 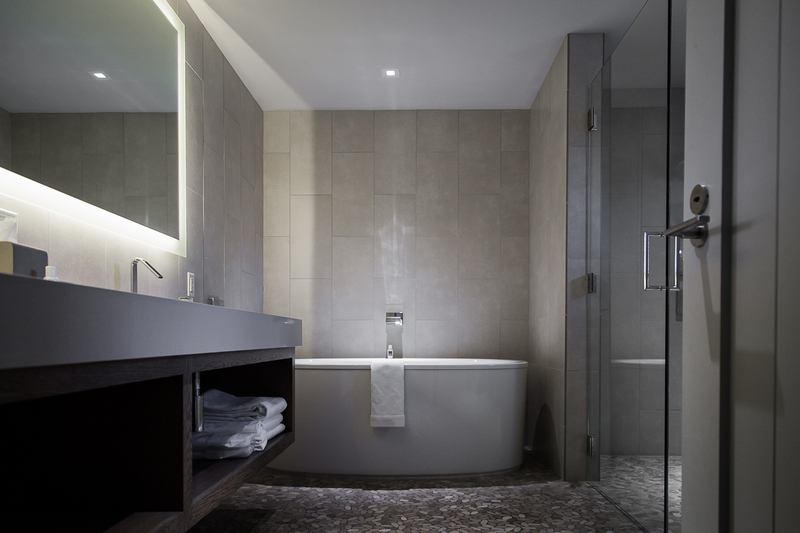 Or perhaps a soak in the deep soaking tub with a glass of wine in hand is more your style, Senza has you covered there too. And don’t worry about stepping out to a cold stone floor, the bathroom floors are heated. Yes, the accommodations at Senza are really that wonderful! It makes for the perfect setting to come “home” to after a day of wine tasting and sight seeing. 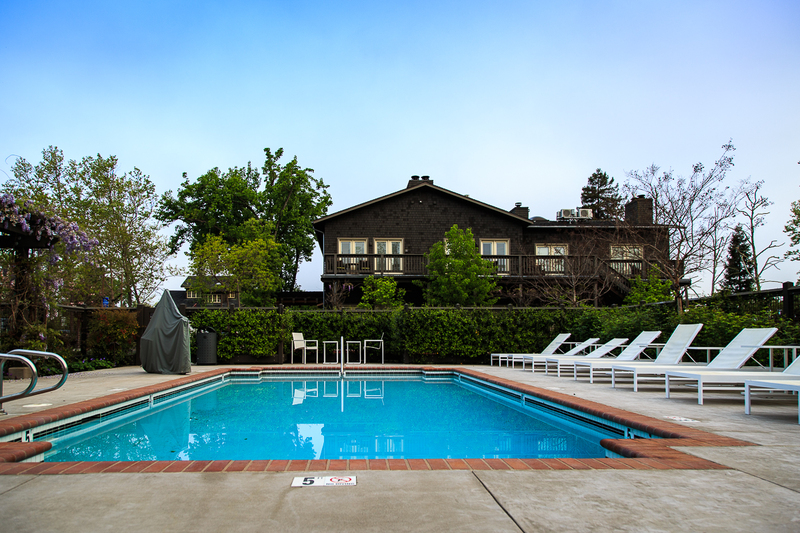 Amenities such as a heated pool with cabanas and a gym are great to help keep your active lifestyle while in Wine Country. 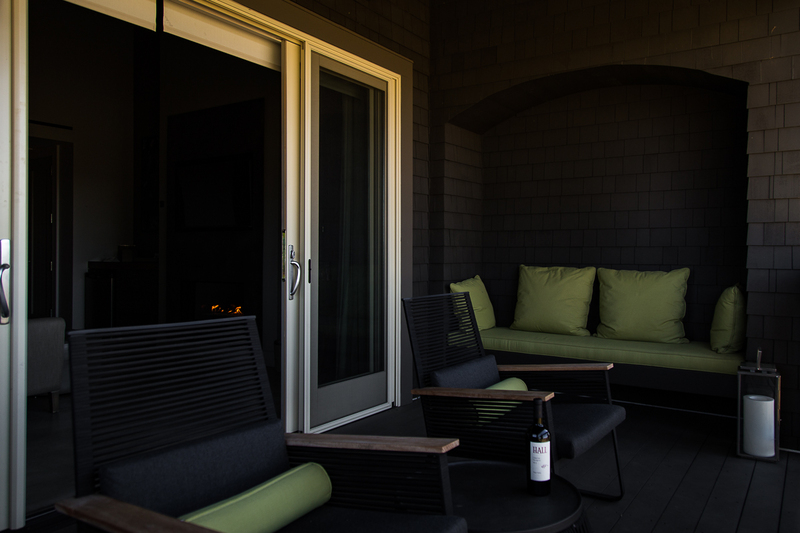 If you prefer a break from it all, take advantage of the complimentary wine hour at 6PM and settle in with your vino by the outdoor fireplace. In the morning, grab some fresh fruit, espresso, and a croissant by Bouchon Bakery. We know visiting vineyards is on the itinerary for your trip. 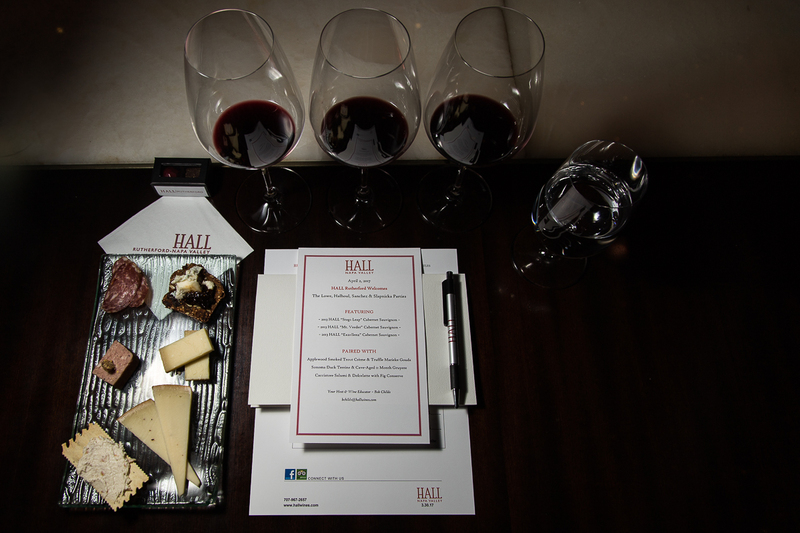 Be sure to make a reservation to HALL Rutherford for the best experience in Cabernet Sauvignon. 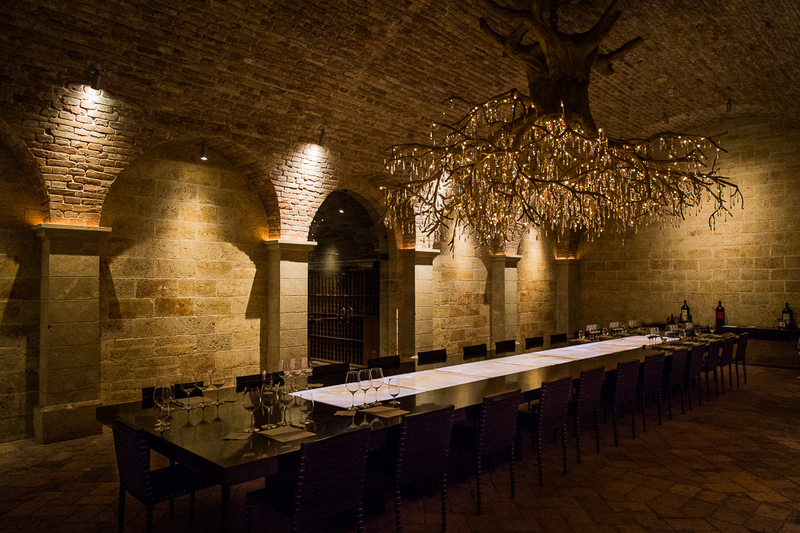 The award winning winery offers intimate tours of its vineyards and wine caves. 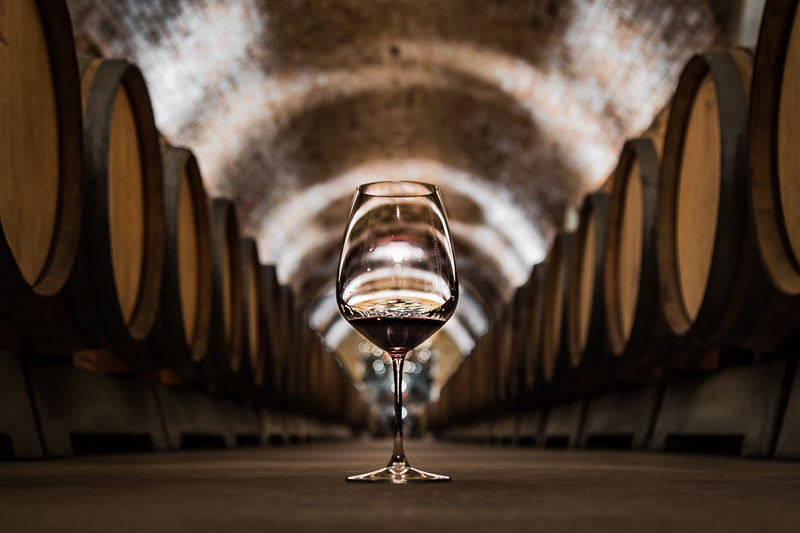 You’ll have the opportunity to try wine straight from the barrel, as well as a formal wine pairing in the most majestic setting. The best part of all is tasting their perfect Cab that garnered 100 points from Robert Parker. You might say, it’s a perfect way to cap off your visit in Napa.